THE MOST REVEREND METROPOLITANS, ARCHBISHOPS AND BISHOPS. There are, however, occasions when events are of such a nature that their influence extends beyond the limits of one Diocese, or indeed those of one or more of the local Churches. Events of such a general, global nature can not be ignored by any Orthodox Bishop, who, as a successor of the Apostles, is charged with the protection of his flock from various temptations. The lightening-like speed with which ideas may be spread in our times make such care all the more imperative now. In particular, our flock, belonging to the free part of the Church of Russia, is spread out all over the world. What has just been stated, therefore, is most pertinent to it. As a result of this, our Bishops, when meeting in their Councils, cannot confine their discussions to the narrow limits of pastoral and administrative problems arising in their respective Dioceses, but must in addition turn their attention to matters of a general importance to the whole Orthodox World, since the affliction of one Church is as "an affliction unto them all, eliciting the compassion of them all" (Phil. 4:14-16; Heb. 10:30). And if the Apostle St. Paul was weak with those who were weak and burning with those who were offended, how then can we Bishops of God remain indifferent to the growth of errors which threaten the salvation of the souls of many of our brothers in Christ? It is in the spirit of such a feeling that we have already once addressed all the Bishops of the Holy Orthodox Church with a Sorrowful Epistle. We rejoiced to learn that, in harmony with our appeal, several Metropolitans of the Church of Greece have recently made reports to their Synod calling to its attention the necessity of considering ecumenism a heresy and the advisability of reconsidering the matter of participation in the World Council of Churches. Such healthy reactions against the spreading of ecumenism allow us to hope that the Church of Christ will be spared this new storm which threatens her. Yet, two years have passed since our Sorrowful Epistle was issued, and, alas! although in the Church of Greece we have seen the new statements regarding ecumenism as un-Orthodox, no Orthodox Church has announced its withdrawal from the World Council of Churches. The essence of that movement has been given a clear definition by the statement of the Roman Catholic theologian Ives M. J. Congar. He writes that "this is a movement which prompts the Christian Churches to wish the restoration of the lost unity, and to that end to have a deep understanding of itself and understanding of each other." He continues, "It is composed of all the feelings, ideas, actions or institutions, meetings or conferences, ceremonies, manifestations and publications which are directed to prepare the reunion in new unity not only of (separate) Christians, but also of the actually existing Churches." Actually, he continues, "the word ecumenism, which is of Protestant origin, means now a concrete reality: the totality of all the aforementioned upon the basis of a certain attitude and a certain amount of very definite conviction (although not always very clear and certain). It is not a desire or an attempt to unite those who are regarded as separated into one Church which would be regarded as the only true one. It begins at just that point where it is recognized that, at the present state, none of the Christian confessions possesses the fullness of Christianity, but even if one of them is authentic, still, as a confession, it does not contain the whole truth. There are Christian values outside of it belonging not only to Christians who are separated from it in creed, but also to other Churches and other confessions as such" (Chretiens Desunis, Ed. Unam Sanctam, Paris, 1937, pp. XI-XII). This definition of the ecumenical movement made by a Roman Catholic theologian 35 years ago continues to be quite as exact even now, with the difference that during the intervening years this movement has continued to develop further with a newer and more dangerous scope. In our first Sorrowful Epistle, we wrote in detail on how incompatible with our Ecclesiology was the participation of Orthodox in the World Council of Churches, and presented precisely the nature of the violation against Orthodoxy committed in the participation of our Churches in that council. We demonstrated that the basic principles of that council are incompatible with the Orthodox doctrine of the Church. We, therefore, protested against the acceptance of that resolution at the Geneva Pan-Orthodox Conference whereby the Orthodox Church was proclaimed an organic member of the World Council of Churches. Alas! These last few years are richly laden with evidence that, in their dialogues with the heterodox, some Orthodox representatives have adopted a purely Protestant ecclesiology which brings in its wake a Protestant approach to questions of the life of the Church, and from which springs forth the now-popular modernism. Modernism consists in that bringing-down, that re-aligning of the life of the Church according to the principles of current life and human weaknesses. We saw it in the Renovation Movement and in the Living Church in Russia in the twenties. At the first meeting of the founders of the Living Church on May 29, 1922, its aims were determined as a "revision and change of all facets of Church life which are required by the demands of current life" (The New Church, Prof. B. V. Titlinov, Petrograd-Moscow, 1923, p. 11). The Living Church was an attempt at a reformation adjusted to the requirements of the conditions of a communist state. Modernism places that compliance with the weaknesses of human nature above the moral and even doctrinal requirements of the Church. In that measure that the world is abandoning Christian principles, modernism debases the level of religious life more and more. Within the Western confessions we see that there has come about an abolition of fasting, a radical shortening and vulgarization of religious services, and, finally, full spiritual devastation, even to the point of exhibiting an indulgent and permissive attitude toward unnatural vices of which St. Paul said it was shameful even to speak. It was just modernism which was the basis of the Pan-Orthodox Conference of sad memory in Constantinople in 1923, evidently not without some influence of the renovation experiment in Russia. Subsequent to that conference, some Churches, while not adopting all the reforms which were there introduced, adopted the Western calendar, and even, in some cases, the Western Paschalia. This, then, was the first step onto the path of modernism of the Orthodox Church, whereby Her way of life was changed in order to bring it closer to the way of life of heretical communities. In this respect, therefore, the adoption of the Western Calendar was a violation of a principle consistent in the Holy Canons, whereby there is a tendency to spiritually isolate the Faithful from those who teach contrary to the Orthodox Church, and not to encourage closeness with such in our prayer-life (Titus 3:10; 10th, 45th, and 65th Apostolic Canons; 32nd, 33rd, and 37th Canons of Laodicea, etc.). The unhappy fruit of that reform was the violation of the unity of the life in prayer of Orthodox Christians in various countries. While some of them were celebrating Christmas together with heretics, others still fasted. Sometimes such a division occurred in the same local Church, and sometimes Easter [Pascha] was celebrated according to the Western Paschal reckoning. For the sake, therefore, of being nearer to the heretics, that principle, set forth by the First Ecumenical Council that all Orthodox Christians should simultaneously, with one mouth and one heart, rejoice and glorify the Resurrection of Christ all over the world, is violated. This tendency to introduce reforms, regardless of previous general decisions and practice of the whole Church in violation of the Second Canon of the VI Ecumenical Council, creates only confusion. His Holiness, the Patriarch of Serbia, Gabriel, of blessed memory, expressed this feeling eloquently at the Church Conference held in Moscow in 1948. "In the last decades," he said, "various tendencies have appeared in the Orthodox Church which evoke reasonable apprehension for the purity of Her doctrines and for Her dogmatical and canonical Unity. "The convening by the Ecumenical Patriarch of the Pan-Orthodox Conference and the Conference at Vatopedi, which had as their principal aim the preparing of the Prosynod, violated the unity and cooperation of the Orthodox Churches. On the one hand, the absence of the Church of Russia at these meetings, and, on the other, the hasty and unilateral actions of some of the local Churches and the hasty actions of their representatives have introduced chaos and anomalies into the life of the Eastern Orthodox Church. "The unilateral introduction of the Gregorian Calendar by some of the local Churches while the Old Calendar was kept yet by others, shook the unity of the Church and incited serious dissension within those of them who so lightly introduced the New Calendar" (Acts of the Conferences of the Heads and Representatives of the Autocephalic Orthodox Churches, Moscow, 1949, Vol. II, pp. 447-448). Recently, Prof. Theodorou, one of the representatives of the Church of Greece at the Conference in Chambesy in 1968, noted that the calendar reform in Greece was hasty and noted further that the Church there suffers even now from the schism it caused (Journal of the Moscow Patriarchate, 1969, No. 1, p. 51). It could not escape the sensitive consciences of many sons of the Church that within the calendar reform, the foundation is already laid for a revision of the entire order of Orthodox Church life which has been blessed by the Tradition of many centuries and confirmed by the decisions of the Ecumenical Councils. Already at that Pan-Orthodox Conference of 1923 at Constantinople, the questions of the second marriage of clergy as well as other matters were raised. And recently, the Greek Archbishop of North and South America, Iakovos, made a statement in favor of a married episcopate (The Hellenic Chronicle, December 23, 1971). In our first Sorrowful Epistle we have shown in detail the extent to which the principles of the World Council of Churches are contrary to the doctrines of the Orthodox Church, and we protested against the decision taken in Geneva at the Pan-Orthodox Conference declaring the Orthodox Church to be an organic member of that council. Then we reminded all that, "the poison of heresy is not too dangerous when it is preached outside the Church. Many times more perilous is that poison which is gradually introduced into the organism in larger and larger doses by those who, in virtue of their position, should not be poisoners but spiritual physicians." Alas! Of late we see the symptoms of such a great development of ecumenism with the participation of the Orthodox, that it has become a serious threat, leading to the utter annihilation of the Orthodox Church by dissolving Her in an ocean of heretical communities. The problem of unity is not discussed now on the level at which it used to be considered by the Holy Fathers. For them unity with the heretics required them to accept the whole of Orthodox doctrine and their return to the fold of the Orthodox Church. Under the prism of the ecumenical movement, however, it is understood that both sides are equally right and wrong; this is applicable to both Roman Catholics and Protestants. Patriarch Athenagoras clearly expressed this in his speech greeting Cardinal Willebrands in Constantinople on November 30, 1969. The Patriarch expressed the wish that the Cardinal's activities would "mark a new epoch of progress not only in regard to the two of our Churches, but also of all Christians." The Patriarch gave the definition of the new approach to the problem of unity by saying that, "None of us is calling the other to himself, but, like Peter and Andrew, we both direct ourselves to Jesus, the only and mutual Lord, Who unites us into oneness" (Tomos Agapis, Rome-lstanbul, Document No. 274, pp. 588-589). The recent exchange of letters between Paul Vl, the Pope of Rome, and the Patriarch Athenagoras further elaborates and develops this unorthodox idea to our great vexation. Encouraged by various statements of the Primate of the Church of Constantinople, the Pope wrote to him on February 8, 1971: ''We remind the believers assembled in the Basilica of St. Peter on the Week of Unity that between our Church and the venerable Orthodox Churches there is an already existing, nearly complete communion, though not fully complete, resulting from our common participation in the mystery of Christ and His Church" (Tomos Agapis, pp.614-615). A doctrine, new for Roman Catholicism but of long-standing acceptance for Protestanism, is contained in these words. According to it, the separations existing between Christians on earth is actually illusory—they do not reach the heavens. So it is that the words of our Savior regarding the chastisement of those who disobey the Church (Matt. 18:18) are set at naught and regarded as without validity. Such a doctrine is novel not only for us Orthodox, but for the Roman Catholics as well, whose thought on this matter, so different from that of the present, was expressed in 1928 in Pope Pius IX,s Encyclical Mortaliun Animos. Though the Roman Catholics are of those "without" (I Cor. 5:13), and we are not directly concerned with changing trends in their views, their advance nearer to Protestant ecclesiology interests us only insofar as it coincides with the simultaneous acceptance of similar attitudes by Constantinople. Ecumenists of Orthodox background and ecumenists of Protestant-Roman Catholic background arrive at a unanimity of opinion in the same heresy. Patriarch Athenagoras answered the above quoted letter of the Pope on March 21, 1971, in a similar spirit. When quoting his words, we will italicize the most important phrases. While the Pope, who is not interested in dogmatical harmony, invites the Patriarch "to do all that is possible to speed that much desired day when, at the conclusion of a common concelebration, we will be made worthy to communicate together of the same Cup of the Lord" (ibid. ); the Patriarch answered in the same spirit addressing the Pope as ''elder brother" and saying that," ... following the holy desire of the Lord Who would that His Church be One, visible to the entire world, so that the entire world would fit in Her, we constantly and unremittingly surrender ourselves to the guidance of the Holy Spirit unto the firm continuation and completion of the now-begun and developing holy work begun with You in our common Holy desire, to make visible and manifest unto the world the one, holy, catholic and apostolic Church of Christ" (ibid., pp. 618-619). Further on the Patriarch writes: "Truly, even though the Church of both east and west have been estranged from each other for offenses known but to the Lord, they are not virtually separated from the communion in the mystery of the God-man Jesus and His Divine-human Church" (ibid., pp. 620). The Patriarch bitterly mentions that "we were estranged from reciprocal love and the blessed gift of confession in oneness of mind of the faith of Christ was taken from us." He says that, "we were deprived of the blessing of going up together to the one altar .... and of the full and together communion of the same eucharistic honorable Body and Blood, even though we did not cease to recognize each in the other the validity of apostolic priesthood and the validity of the mystery of the Divine Eucharist" (ibid.). It is at this point in time, however, that the Patriarch notes that, "we are called positively to proceed to the final union in concelebration and communion of the honorable Blood of Christ from the same holy cup" (ibid., pp. 620-623). In this letter many un-Orthodox ideas are expressed, which, if taken to their logical end, lead us to the most disastrous conclusions. It follows from the quoted words that the ecumenists led by Patriarch Athenagoras do not believe in the Church as She was founded by the Savior. Contrary to His word (Matt. 16:18), that Church no longer exists for them, and the Pope and Patriarch together would "make visible and manifest" a new church which would encompass the whole of mankind. Is it not dreadful to hear these words "make visible and manifest" from the mouth of an Orthodox Patriarch? Is it not a renunciation of the existing Church of Christ? Is it possible to render a new church visible without first renouncing that very Church which was created by the Lord? But for those who belong to Her and who believe in Her, there is no need to make visible and manifest any new Church. Yet even the "old" Church of the Holy Apostles and Fathers is presented by the Pope and the Patriarch in a distorted manner so as to create the illusion in the mind of the reader that She is somehow connected with the new church that they wish to create. To that end they attempt to present the separation between Orthodoxy and Roman Catholicism as if it never existed. In their common prayer in the Basilica of St. Peter, Patriarch Athenagoras and Pope Paul Vl stated that they find themselves already united "in the proclamation of the same Gospel, in the same baptism, in the same sacraments and the charismas" (ibid., p.660). But even if the Pope and Patriarch have declared to be null and void the Anathemas which have existed for nine centuries, does this mean that the reasons for pronouncing them, which are known to all, have ceased to exist? Does this mean that the errors of the Latins which one was required to renounce upon entering the Church no longer exist? Therefore, the statement that during those centuries "we did not cease to recognize each in the other the validity of apostolic priesthood and the validity of the mystery of the Divine Eucharist" is absolutely inconsistent with historical fact. The separation between us and Rome existed and exists; further, it is not illusory but actual. The separation appears illusory to those who give no weight to the words of the Savior spoken to His Holy Apostles and through them, to their successors: "Verily I say unto you, Whatsoever ye shall bind on earth shall be bound in heaven; and whatsoever ye shall loose on earth shall be loosed in heaven" (Matt. 18:18). The Savior says, "Verily I say unto you," and the Patriarch contradicts Him and declares His words to be untrue. It must be concluded from the Patriarch's words that, although the Latins were regarded as heretics by the whole Orthodox Church, although they could not receive Holy Communion, even though they were accepted into the Church over many centuries by Baptism—and we know of no decision in the East reversing this stand—still, they continued to be members of the Corpus Christi and were not separated from the Sacraments of the Church. In such a statement there is no logic. It evidences a loss of contact with the actual history of the Church. It presents us with an example of application in practice of the Protestant doctrine according to which excommunication from the Church because of dogmatical error does not bar the one excommunicated from membership in Her. In other words, it means that "communion in the mystery of the God-man Jesus" does not necessarily depend upon membership in the Orthodox Church. In an attempt to find some justification for their ecumenical theory, they are trying to convince us that membership in the Church without full dogmatic agreement with Her was permitted in the past. In his official statement at the Phanar, made when his letter to the Pope was published, Patriarch Athenagoras tried to convince us that notwithstanding the facts mentioned earlier, the Eastern Church did not rupture its communion with Rome, even when dogmatical dissent was obvious. One can indeed find some solitary instances of communion. In some places even after 1054, some Eastern hierarchs may not have hastened to brand as heresy various wrong doctrines that appeared in the Church of Rome. But a long ailment before death is still a disease, and the death it causes remains a death, however long it took for it to come to pass. In the case of Rome that process was already evident at the time of St. Photios, but only later, in 1054, did it become a final separation. The exchange of letters between the Patriarch of Constantinople and the Pope of Rome have made it necessary for us to dwell to no little extent upon the relationship of the Orthodox Church toward the Latins. But Patriarch Athenagoras goes yet beyond equating Papism with Orthodoxy. We speak here of his statement to Roge Schutz, a pastor of the Protestant Reformed Church of Switzerland. "I wish to make you an avowal," he said. "You are a priest. I could receive from your hands the Body and Blood of Christ." On the next day he added, "I could make my confession to you" (Le Monde, May 21, 1970). Ecumenists of Orthodox background are willing to undermine even the authority of the Ecumenical Councils in order to achieve communion with heretics. This happened during the dialogue with the Monophysites. At the meeting with them in Geneva, a clear Orthodox position was held actually only by one or two of the participants, while the rest manifested the typical ecumenistic tendency to accomplish intercommunion at any cost, even without the attainment of a full dogmatic agreement between the Orthodox and Monophysites. Rev. Dr. John Romanides, the representative of the Church of Greece, was fully justified in stating the following of the Orthodox members at the conference: "We have all along been the object of an ecumenical technique which aims at the accomplishment of intercommunion or communion or union without an agreement on Chalcedon and the Fifth, Sixth, and Seventh Ecumenical Councils (Minutes of the Conference in Geneva, The Greek Orthodox Theological Review, Vol. XVI, p. 30). As a result of such tactics, one of the resolutions of this conference is actually an agreement to investigate the possibility of drawing up a formula of Concord which would not be a dogmatical statement on the level of a confession of faith, but would rather serve as a basis upon which the Orthodox and the Monophysites could proceed toward union in a common Eucharist (ibid., p. 6). Despite the categorical statements on the part of the Monophysites that on no account would they accept Chalcedon and the rest of the Ecumenical Councils, the Orthodox delegation signed a resolution recognizing it as unnecessary that the Anathemas be lifted, or that the Orthodox accept Dioscorus and Severus as saints, or that the Monophysites acknowledge Pope Leo to be a saint. The restoration of communion, however, would bear with it the implication that the Anathemas on both sides would cease to be in effect (ibid., p. 6). At yet another conference in Addis Abbaba, the un-Orthodox statements of representatives of the Orthodox Churches were buttressed by Metropolitan Nikodim of Leningrad and Rev. V. Borovoy, resulting in a resolution that the mutual Anathemas simply be dropped. "Should there be a formal declaration or ceremony in which the Anathemas are lifted? Many of us felt that it is much simpler to drop these Anathemas in a quiet way as some Churches have begun to do" (ibid., p. 211). Here again we see in practice the Protestant concept of ecclesiology whereby the excommunication of one for dogmatical error does not prevent heretics from belonging to the Church. Rev. Vitaly Borovoy clearly expresses this attitude in his paper "The Recognition of Saints and the Problem of Anathemas" presented at the conference at Addis Abbaba, clearly asserting that both Monophysites and Roman Catholics are full-fledged members of the Body of Christ. He claims that Orthodox, Roman Catholics and Monophysites have "one Holy Writ, one Apostolic Tradition and sacred origin, the same sacraments, and in essence, a single piety and a single way of salvation" (ibid., p. 246). With such attitudes, is it any surprise that compromise reigns supreme in the relationship between the Orthodox promoters of ecumenism and the Roman Catholics, Protestants and Anti-Chalcedonians? 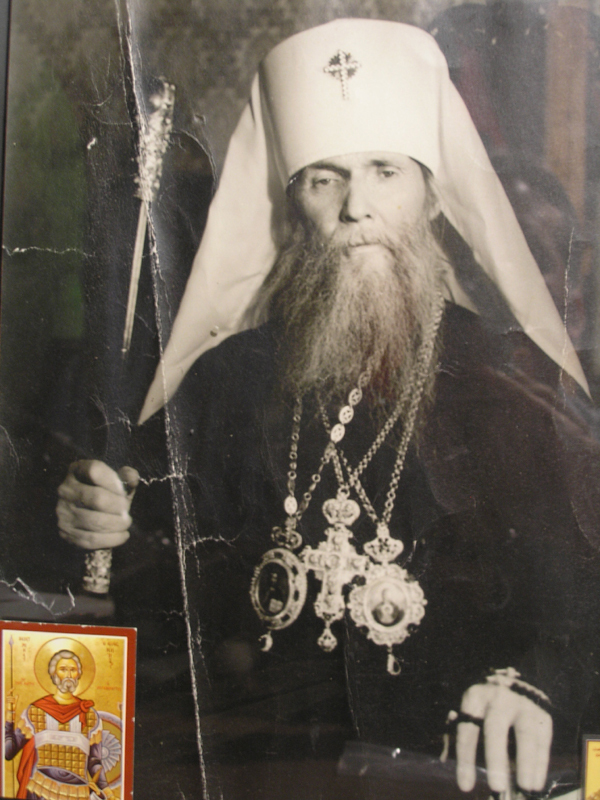 Outdoing even Patriarch Athenagoras, Metropolitan Nikodim, the representative of the Moscow Patriarchate gave communion to Roman Catholic clergymen in the Cathedral of St. Peter on December 14, 1970. He served the Divine Liturgy there, while in violation of Canons, a choir of the students of the Pontifical College sang and Latin clergymen accepted communion from his hands (Diakonia No. 1, 1971). Yet, behind these practical manifestations of the so-called ecumenical movement, other broader aims are discernible which lead to the utter abolition of the Orthodox Church. 1. The accomplishment of gestures of reconciliation for which the lifting of the Anathemas of 1054 between Rome and Constantinople can serve as an example. 2. Communion in the Eucharist; in other words a positive solution to the problem of intercommunion. 3. Acceptance of a clear understanding that we all belong to a universal (Christian) entity which should give place to diversity. 4. That Council should be a token of the unity of men in Christ (Irenicon, No. 3, 1971, pp. 322-323). The same article states that the Roman Catholic Secretariat for Union is working to achieve the same result as Cardinal Willibrands said at Evian. And the Assembly on Faith and Constitution has chosen as its main theme "The Unity of the Church and the Unity of Mankind." According to a new definition, everything relates to ecumenism "which is connected with the renewal and reunion of the Church as a ferment of the growth of the Kingdom of God in the world of men who are seeking their unity" (Service d'information, No. 9, February, 1970, pp. 10-11). At the conference of the Central Committee in Addis Abbaba, Metropolitan George Khodre made a report which actually tends to connect the Church in some way with all religions. He would see the inspiration of the Holy Spirit even in non-Christian religions so that, according to him, when we communicate of the Body of Christ we are united to all whom our Lord embraces in His love toward mankind (Irenikon, 1971, No. 2, pp. 191-202). This is where the Orthodox Church is being drawn. Outwardly this movement is manifested by unending "dialogues"; Orthodox representatives are engaged in dialogues with Roman Catholics and Anglicans; they in turn are in dialogue with each other, with Lutherans, other Protestants, and even with Jews, Moslems and Buddhists. Just recently, the Exarch of Patriarch Athenagoras in North and South America, Archbishop Iakovos, took part in a dialogue with Jews. He noted that as far as he knew, at no other time in history has such "a theological dialogue with Jews taken place under the sponsorship of the Greek Church." Besides matters of a national character, "the group also agreed to examine liturgy, with Greek Orthodox scholars undertaking to review their liturgical texts in terms of improving references to Jews and Judaism where they are found to be negative or hostile" (Religious News Service, January 27, 1972, pp. 24-25). So it is that Patriarch Athenagoras and other ecumenists do not limit their plans for unia to Roman Catholics and Protestants; their plans are more ambitious. We have already quoted the words of Patriarch Athenagoras that the Lord desires that "His Church be one, visible to the entire world so that the entire world would fit within Her." A Greek theologian and former Dean of the Theological Faculty in Athens writes in much the same vein. In evolving the ecumenical idea of the Church, his thought arrives at the same far-reaching conclusions. He asserts that the enemies of ecumenism are thwarting the will of God. According to him, God embraces all men in our planet as members of His one Church yesterday, today and tomorrow as the fullness of that Church (Bulletin Typos Bonne Presse, Athens, March-April 1971). When and where did the Lord promise that the whole world could be united in the Church? Such an expectation is nothing more than a chiliastic hope with no foundation in the Holy Gospels. All men are called unto salvation; but by no means do all of them respond. Christ spoke of Christians as those given Him from the world (John 17:6). He did not pray for the whole world but for those men given Him from the World. And the apostle St. John teaches that the Church and the world are in opposition to each other, and he exhorts the Christians, saying, "Love not the world, neither the things that are in the world. If any man love the world, the love of the Father is not in him" (I John 1:16). Concerning the sons of the Church, the Savior said, "They are not of the world, even as I am not of the world" (John 17:16). In the persons of the Apostles the Savior warned the Church that in the world She would have tribulation (John 16:33), explaining to His Disciples: "If you were from the world, the world would love its own; but because you are not of the world, but I have chosen you out of the world, therefore the world hateth you" (John 15:19). In Holy Scriptures, therefore, we see that a clear distinction is made between the sons of the Church and the rest of mankind. Addressing himself to the faithful in Christ and distinguishing them from unbelievers, St. Peter writes, "But ye are a chosen generation, a royal priesthood, a peculiar people" (I Peter 2:9). We are in no manner assured in Scripture of the triumph of truth on earth before the end of the world. There is no promise that the world will be transfigured into a church uniting all of mankind as fervent ecumenists believe, but rather there is the warning that religion will be lacking in the last days and Christians will suffer great sorrow and hatred on the part of all nations for the sake of our Savior's Name (Matt. 24:9-12). While all of mankind sinned in the first Adam, in the second Adam—Christ—only that part of humanity is united in Him which is "born again" (John 3:3 and 7). And although in the material world God "maketh His sun to rise on the evil and on the good, and sendeth rain on the just and on the unjust" (Matt. 4:45), He does not accept the unjust into His Kingdom. Rather, He addresses them with these menacing words: "Not everyone who saith unto me Lord, Lord shall enter into the Kingdom of Heaven; but he that doeth the will of My Father which is in Heaven" (Matt. 7:21). Doubtlessly our Savior is addressing the heretics when He says: "Many who say to me in that day, Lord, Lord, have we not prophesied in thy name? And in thy name have cast out devils, and in they name done many wonderful works? And them I will profess unto them, I never knew you: depart from me, ye that work iniquity" (Matt. 7:22-23). So it is that our Lord tells the heretics, "I never knew you"; yet Patriarch Athenagoras tries to convince us that "they were not separated from the communion in the mystery of the God-man Jesus and His Divine-human Church." It is the belief in the renewal of the whole of mankind within the new and universal church that lends to ecumenism the nature a of chiliastic heresy, which becomes more and more evident in the ecumenistic attempts to unite everyone, disregarding truth and error, and in their tendency to create not only a new church, but a new world. The propagators of this heresy do not wish to believe that the earth and all that is on it shall burn, the heavens shall pass away, and the elements shall melt with fervent heat (II Peter 3:1-12). They forget that it is after this that a new Heaven and a new Earth on which truth will abide will come to be through the creative word of God—not the efforts of human organizations. Therefore the efforts of Orthodox Christians should not be directed to the building of organizations, but toward becoming inhabitants of the new Creation after the Final Judgment through living a pious life in the one true Church. In the meantime, activities aimed at building the Kingdom of God on earth through a fraudulent union of various confessions without regard for the Truth, which is kept only within the Tradition of the Holy Orthodox Church, will only lead us away from the Kingdom of God and into the kingdom of the Antichrist. The history of the Church witnesses that Christianity was not spread by compromises and dialogues between Christians and unbelievers, but through witnessing the truth and rejecting every lie and every error. It might be noted that generally no religion has ever been spread by those who doubted its full truth. The new, all-encompassing "church" which is being erected by the ecumenists is of the nature of that Church of Laodicea exposed in the Book of Revelation: she is lukewarm, neither hot nor cold toward the Truth, and it is to this new "church" that the words addressed by the Angel to the Laodicean Church of old might now be applied: "So that because thou are lukewarm and neither cold nor hot, I will spew thee out of my mouth" (Rev. 3:16). Therefore because they have not received "the love that they might be saved," instead of a religious revival this "church" exhibits that of which the Apostle warned: "And for this cause God shall send them strong delusion, that they should believe a lie: that they all might be damned who believe not the truth, but had pleasure in unrighteousness" (II Thes. 2:10-12). It is, therefore, upon the grounds stated above that the Most Reverend Members of our Council of Bishops unanimously agreed to recognize ecumenism as a dangerous heresy. Having observed its spread, they asked us to share our observation with our Brother Bishops throughout the world. We ask them first of all to pray that the Lord spare His Holy Church the storm which would be caused by this new heresy, opening the spiritual eyes of all unto understanding of truth in the face of error. May our Lord help each of us to preserve the Truth in the purity in which it was entrusted to us undefiled, and to nurture our flocks in its fidelity and piety.